Papers must be written in the correct format: MS Word.doc or LaTeX or LaTeX2 and must be uploaded using the following form as .doc, or .pdf file. 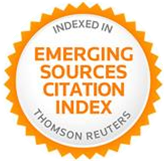 Invited and Regular Papers will be published in various Indexed Journals based on quality and reviewers' recommendations. Only full papers will be promoted to reviewers for thorough peer review. Prof. Ismail Rakip Karas, Karabuk University, Turkey.